In episode 62 we interview top earner and author, Kosta Gara. Kosta walks us through his escape to freedom from the tyranny of early Iran, including the path that would lead him to the network marketing profession. We also dive into the exciting release of Kosta's upcoming book: Organic Networker. How Kosta was able to build a team of over 200,000 distributors using a philosophy called organic network marketing in a relatively short period of time. What to do when setting goals to ensure you stay on track. How to take your dreams and vision from $500 to 7 figures a year and more. Why Kosta failed miserably in his first network marketing company, what he learned, and why he was outrageously successful in his second company. The principle of CANEI. The method used by Kosta Gara to reach any goal he set for himself and his business. Kosta on Facebook – Find out what Kosta is up to on his Facebook page! If you haven't picked up a copy of my Top Earner Recruiting Scripts yet, make sure you get them here! 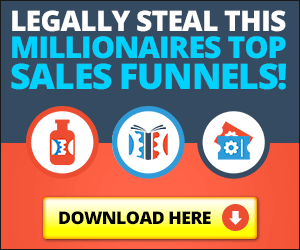 I personally created these scripts so you'd have not only an easy lead generation strategy that's free, but be able to talk like I do on the phone. These scripts have allowed me to recruit 5 top earners from previous companies into my business in the last 12 months! Just so there's no confusion, these leaders had already left their companies. I was merely positioned well in the marketplace to have the chance at first contact!